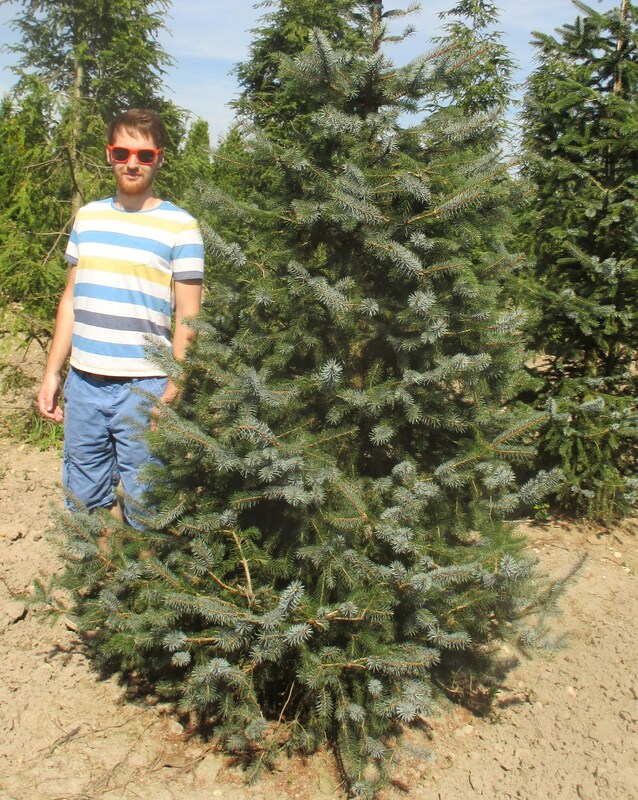 Picea sitchensis is a tall and graceful evergreen, originating from Sitka in Alaska. The tree grows with a very straight conical shape trunk, its greyish brown bark has curved fissures and flaky plates as it grows. Long downward flowing branches hang down low from the pointed crown with dark green rigid leaves like flattened needles that grow individually. They are stiff, hard and very sharp. Sitka spruce is the world’s largest spruce, although it up to 50 m or more in the UK with a trunk over 2 m in diameter. Sitka spruce is a good coastal tree.